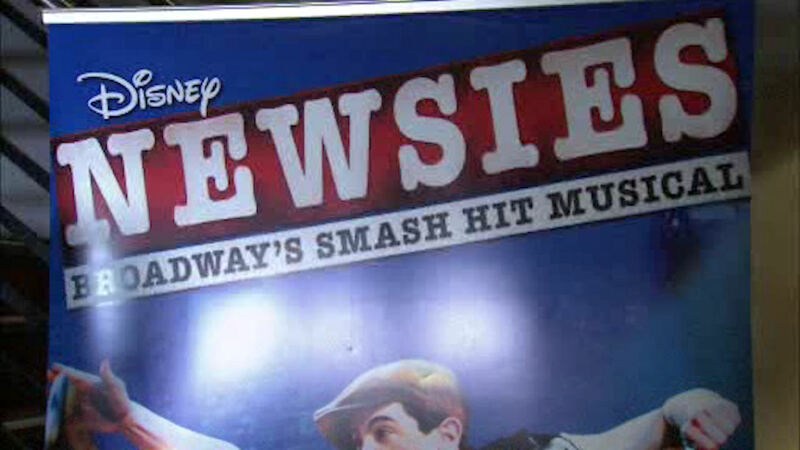 NEW YORK (WABC) -- "Newsies" is going from the stage to the big screen. If you missed the Broadway run of the hit musical, you can now catch the energizing performance at the movies. The red carpet premiere of Disney's "Newsies" was held Monday night at AMC Loews Lincoln Square. The Tony-award winning musical was filmed at a theater in Hollywood, so audiences who didn't see it live, or loved it and want to see it again, can now enjoy it at the movies. "I think it's important in terms of spreading the message across the country, and making it accessible for people who can't come to Broadway, and exciting youngsters about theater and about the power of the medium," said Jeremy Jordan, actor in "Newsies." "I always want more people to see live theater, and if this is a way to make that happen, in a way, so be it," said Thomas Schumacher, President, Disney Theatrical Group. The special three-day event is coming to cinemas nationwide on February 16th, 18th and 22nd only. Disney is the parent company of WABC.